The old gang’s back together again with yet another Attack on Titan OVA. This time, it’s an adaptation of the Lost Girls spin-off centered on Annie and Mikasa. 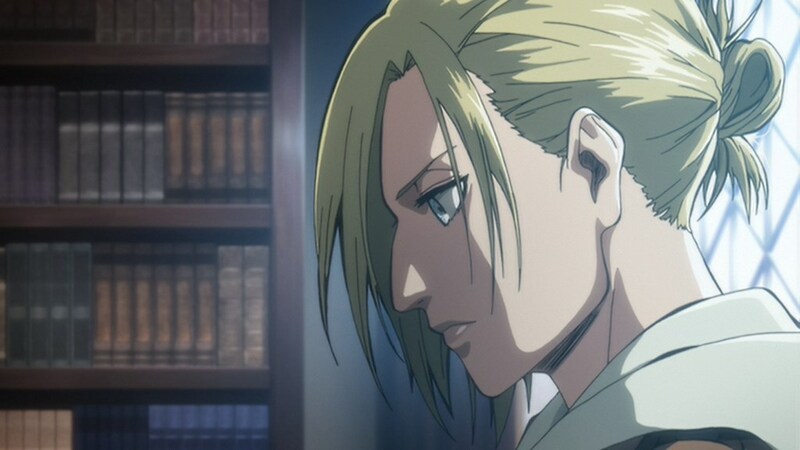 In this episode, Annie is assigned with finding the missing daughter of a wealthy tycoon just a day before she’s set to carry out her plan to capture Eren during the 57th reconnaissance mission, but things aren’t quite so simple for Annie. Joint with Soldado-Subs. Happy New Year and thanks for this one of three! Is this going to find its way onto the bots? When will u guyz sub Lost Girls 2 OVA? I see guys that this OVA is now on the dropped releases section.. did you really guys drop the rest of the OVAs or it’s just a mistake due to your website new design? Ah, well spotted. It was an oversight because we dropped the series originally due to licensing. We still plan to do the remaining OVAs at some point.